This new and sparkly year is all about simplifying my life and running it much more efficiently than I have in the past. 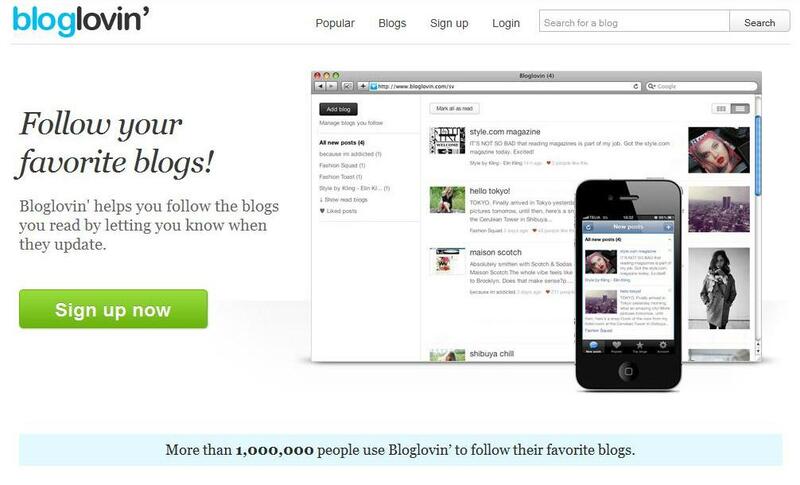 That is why I am so excited about Bloglovin’. Bloglovin’ makes it super easy for me to follow all of the blogs that I just LOVE, LOVE, LOVE and notifies me whenever there is a new post. Sweeeeeeeeet!!! I’d be truly tickled pink for you to follow my blog with Bloglovin’. Sending you oodles of love and affection…. Diva or Just High Standards? Nervous breakdowns are not an option. So when your very last nerve has been stretched and snapped, what’s a girl to do? Plan a quick weekend away, that’s what. 911 the girls, kiss the “hubster” and fur-kid good-bye and warn him about the “No Calling the Wifey for Ridiculous Questions” rule. Forget about making the “Do you know if I have any more clean tidy whitey’s?”call or the “How do I turn on the toaster oven?”, “Have you seen the remote control?”, “Do we have any more meat patties?”, “Why is our fur-kid sniffing his boys?”, and my personal favorite, “Why is the wireless on my computer not working?”, kind of calls. Earth to “hubster”, Josie has left the building and her mind is now on cruise control. Leave your questions after the beep and I will get back to you after a few cocktails. No, I am not hearing your new conspiracy theories or why ballroom dancing competitions are so entertaining. Am I going to have to place a call to Man Camp? Unless my shoe collection is in jeopardy, park your questions at the curb until the wifey blows back into town. Under normal circumstances, it’s always wonderful to plan a trip with my “hubster” but this is not that kind of trip. Sometimes you just need a trip in which you can decompress, talk about nothing, and just soak up the bonds of sisterhood while you channel your inner peace. Yes, this is a weekend for just the girls. We deserve to be pampered and catered to for the weekend. Reality will shake us awake soon enough when we get back home so we might as well whoop it up. Now, that brings me to the core of my question. Not all of my gal pals have the same standards that I do when it comes to choosing an upscale Hotel. My definition of ‘upscale’ may be totally different from theirs. Case in point, when I check into a hotel, must I be classified as a Diva because I want make sure that I will not be in need of my portable UV Scanner (yes, I have one and no I don’t think I’m on CSI: Miami. A girl can never be too careful), especially if there is a possibility that the bed covers may contain, ahem, foreign human stains? Is it too much to expect that when I pull back the bedcovers, I won’t find hairs I know couldn’t possibly belong to me? And seriously, do you really think I want to drink out of those glasses in our room if it looks like they have been spit shined? Literally? No, get-away weekends are meant to be stress free and the last thing I need is to worry about where I am laying my head. My standards are high, yes, and if the gals think I’m over the top so be it. At least I will be at peace that it’s our DNA on those “clean” sheets.